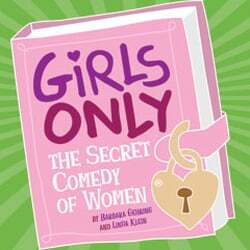 This laugh-out-loud theatrical triumph celebrates the challenges of womanhood. You’ll roar with laughter at everything that has ever held you back; from boys to bras and pantyhose to menopause. Come celebrate the joy of the journey from girlhood to womanhood. A fabulous brunch at Bartolotta’s Lake Park Bistro, prior to the 2:00 PM performance, is included. Bartolotta’s boasts a beautiful setting in a park pavilion overlooking Lake Michigan and its award-winning cuisine have made it the premier dining destination in Milwaukee since 1995. Treat yourself and gather your girlfriends for this delightful day in Milwaukee. Reservations and payment are required by March 20, 2019. Minimal walking.